Ghosts of Seattle Past takes Bumbershoot by storm! 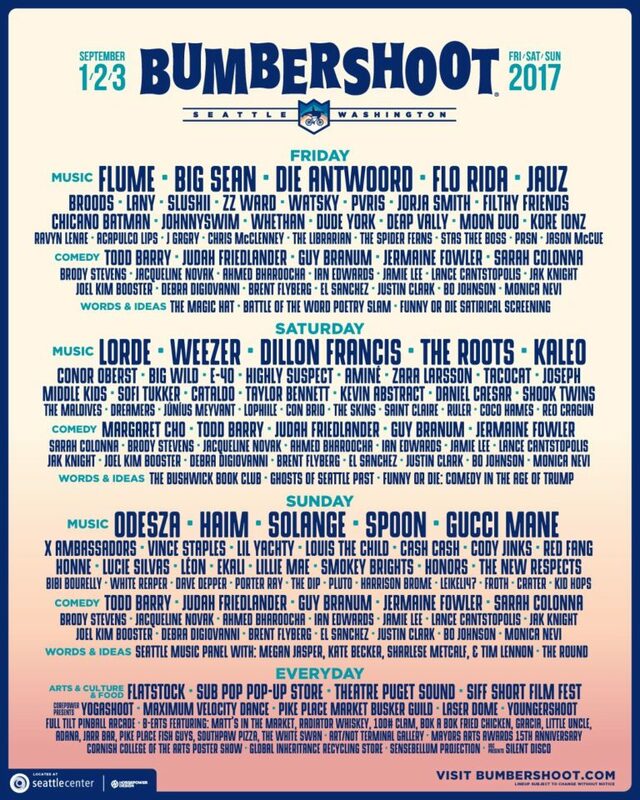 Have you seen the stacked lineup for Bumbershoot this year? Sure, there’s Lorde and Solange–royalty, to be sure. But we’re talking about not one but *TWO* Ghosts of Seattle Past appearances! Join us September 1-3 in the International Fountain Pavilion at Seattle Center from 2pm-9pm where we’ll have an interactive installation of maps charting Seattle’s lost places and several chances to mingle with the team that made the anthology and traveling exhibit. And if you want a sure shot at hearing from some of the contributors, come to our panel at the Words & Ideas Stage on Saturday September 2nd at 4:05pm. We’re part of a pretty stacked lineup. It’ll be a lively discussion if Sean has anything to say about it, but also be prepared with some of your own questions and stories of lost places. If there’s one thing we’ve learned from this project, it’s how productive it can be to come together in loss and swap strategies for coping with our constantly-evolving city. And though we’re excited to have such an incredible platform for our contributors, we’re also very excited to have three days to hear about the lost places that have been haunting you. Whether or not you can make it to the panel, if you’re at Bumbershoot be sure to stop by our installation in the International Fountain Pavilion. Josh’s seven enormous hand-drawn maps will be on display, maybe for the last time (they’re for sale, folks, so see them while you can)!! 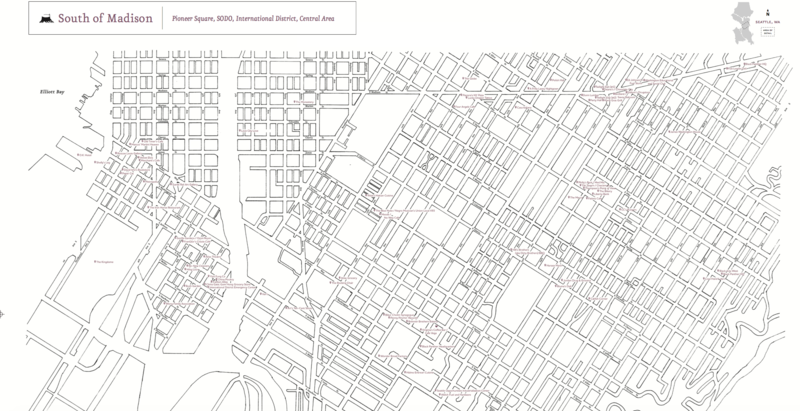 Come walk through the framed maps and copies of Ghosts of Seattle Past for sale, and step into a sort of time capsule of what the old Seattle neighborhoods had: Lost to rapid changes and development plans in Seattle, these places represent what we once were. Jaimee and Josh will be on site each day from 2-3pm to chat with you, and the Chin Music Press team will be there the rest of the day to help you mark more lost spaces/places of your remembrance on both the physical maps and online. Josh Powell’s handcrafted line-drawing maps will be on display and for sale in the International Fountain Pavilion. Next post: Ghosts of Seattle Past is a finalist for the Washington State Book Award!